BAE Systems has partnered with Flexera to offer a hybrid cloud environment for U.S. government customers that aim to update their information technology operations and software licenses. The partnership intends to incorporate Flexera’s data analytics and management platforms into a federated cloud system that BAE and Dell EMC jointly unveiled in April, BAE said Monday. 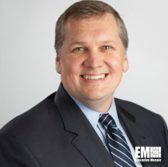 Peder Jungck, vice president and general manager of BAE’s intelligence solutions business, said the company seeks to help agencies share and analyze data, collaborate in real time and comply with governance and security requirements. The BAE-Dell EMC offering is designed for government organizations seeking to transition and secure IT operations in a cloud environment. The federated cloud platform also includes 900 security controls and offers several enterprise desktop services that can be found in the government.